Where Now for Peace in Colombia? After three and a half years imprisoned on false charges, Colombian trade union leader Huber Ballesteros was finally released in January 2017. Justice for Colombia, with the support of the TUC and its affiliated unions, played a key role in securing his freedom. 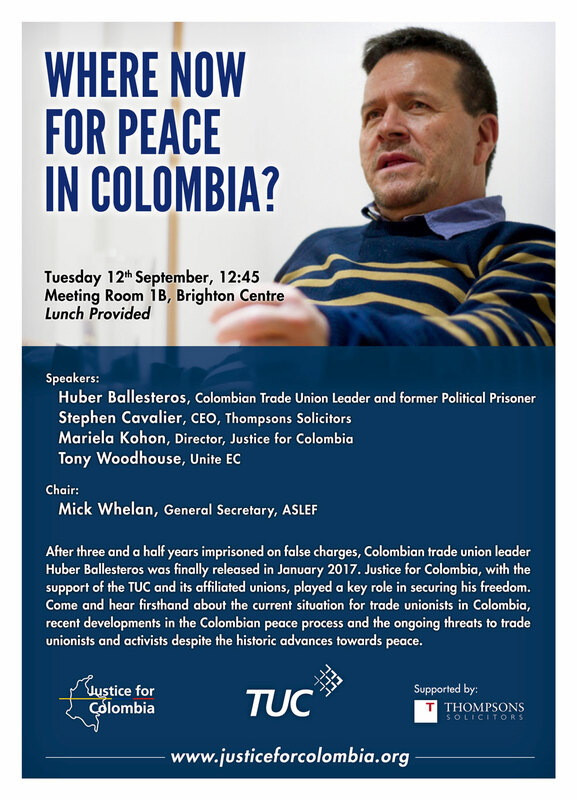 Come and hear firsthand about the current situation for trade unionists in Colombia, recent developments in the Colombian peace process and the ongoing threats to trade unionists and activists despite the historic advances towards peace.